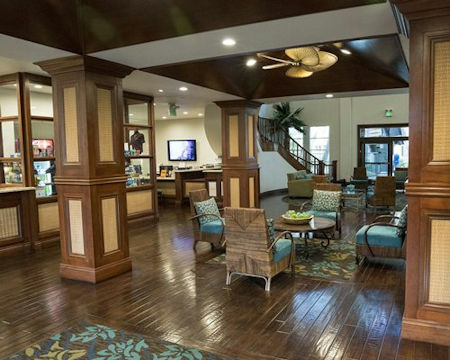 Located just three miles from the Las Vegas Strip, Tahiti is a Polynesian-themed resort. 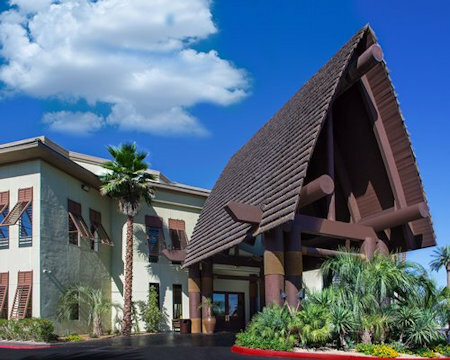 Tahiti brings a true South Pacific theme to Las Vegas, complete with a thatch Porte Cochere, tropical pool cabanas, tropical landscaping, a putting green and two sand beach swimming pools. 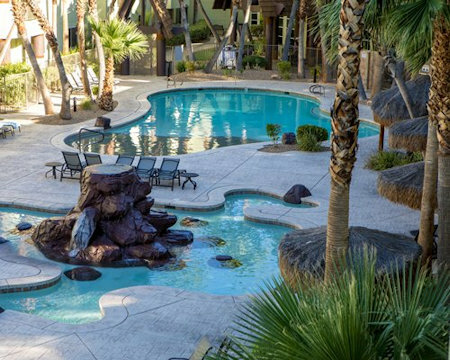 With the vast array of amenities you're sure to feel like you're relaxing in the tropics with the excitement of Las Vegas year after year. Amenities include an exercise room, massage services and facial treatments, sundry shop, two sand-beach swimming pools, poolside palapas, barbecue picnic area, putting green, concierge activity desk, and transportation to and from the Strip. 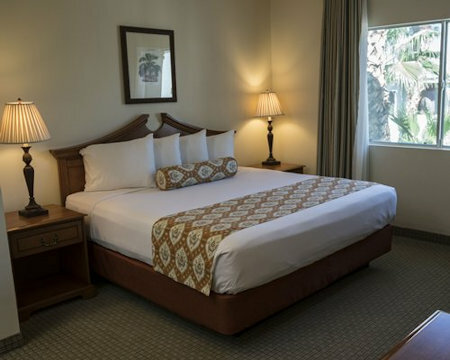 Your 1 BEDROOM SUITE will sleep up to 4 guests and has a partial or full kitchen. There is a short stay fee of $40 USD for any reservation less than 7 nights.